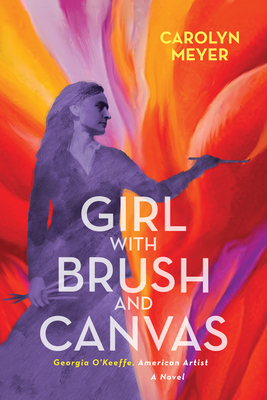 The life of artist Georgia O'Keeffe is revealed in this biographical novel -- from her childhood when she decided to be an artist, through her art education in Chicago and New York, to her eventual rise to fame in the American Southwest. At the age of 12, Georgia O'Keeffe announced that she wanted to be an artist. With the support of her family, O'Keeffe attended boarding schools with strong art programs, and after graduating, went to live with an aunt and uncle in Chicago to attend the city's highly regarded Art Institute. Illness forced O'Keeffe to leave Chicago, but once she'd recovered, her family scraped together funds to send her to New York to study at the Art Students League. When her family fell on hard times, she left without the degree she needed. Discouraged, but unwilling to give up her dream, O'Keeffe found a different path. She became an art teacher in schools in Texas and South Carolina, honing her own craft as she taught her students. O'Keeffe never gave up her dream, no matter what obstacles she encountered--she knew she was meant to be an artist.